This Black Friday, Milwaukee Riverkeeper is encouraging volunteers to #OptOutside as part of REI’s efforts to celebrate the outdoors and its benefits. 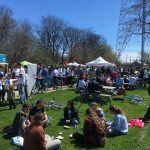 Rock the Green hosted its 6th Annual Earth Day Celebration presented by Milwaukee Riverkeeper on Saturday, April 22, in Estabrook Park. 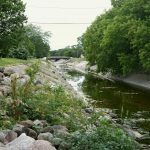 Today, Milwaukee Riverkeeper announces the release of its 6th Annual Milwaukee River Basin Report Card.